Our company has been successful in providing meaningful, positive and profitable narratives to individual students and academics as well as creative producers, business owners and executives in local and international organisations since 1987. We help our clients use these narratives to drive forward-looking connections and entrepreneurial outcomes. Managing director Dr John Cokley PhD, MBA, B.Bus, Grad.Cert Ed. Dip. Religious Studies (above left) has taught at eight different Australian universities since 1990, is a Certified Tertiary Teacher, and has been an Adjunct Associate Professor at Griffith University since 2015. He also holds a current Certificate IV in Training & Assessment (including language, literacy & numeracy). John was the inaugural Dean of the National Business and Technology Institute (2016), the first Journalist-in-Residence at Griffith University (2002) and the first Associate Professor in Journalism at Swinburne University of Technology in Melbourne, Australia (2012-2014). He worked as an editor, reporter and trainer for News Corp Australia from 1984-2006, for the national wire service Australian Associated Press from 1984-1985 and as a trainer for the Asia-Pacific Broadcasting Union in Malaysia, India and Iran (2007-2011). John has owned and operated small businesses in Australia since 1982, including a publishing company, wedding photography, and a bookshop, and has worked in retail, tourism, public relations and training. He has delivered invited seminars in Indonesia, China, France, Ireland and Wales and addressed conferences in South Africa, the United States, Norfolk Island, Singapore and New Zealand. Consulting manager Pip Hanrick BA, MA (Cultural Policy Studies) Grad Dip Ed (above right) has worked in Australian political and public service roles at State and Federal levels and in journalism in rural and metropolitan newspapers. In the early 1990s she moved into strategic communication and engagement, working in the not-for-profit, university and government sectors. She was Media Manager and later State Strategic Communication Manager for the Queensland Department of Primary Industries & Fisheries. She later worked for Rowland Consulting as a Manager in both Stakeholder Engagement and Government Relations and more recently (2018) as a senior research officer for Queensland Fire & Emergency Services. She is a qualified and registered teacher with Education Queensland and has taught in indigenous schools, in remote distance education ("School of the Air"), and in schools in low socio-economic areas. Pip specialises in helping students with special needs and with autistic spectrum disorder. Pip first developed her strong interest in public participation and community engagement while working on the Red Imported Fire Ant Eradication Program in 2001, one of Queensland's first significant community engagement projects. Since then she has been involved in several other large engagement projects, particularly the Southern Regional Water Pipeline Alliance project in Queensland from 2007. Pip has researched and published on community engagement practices in Australia and the role that government legislation, corporate agendas and media play in the success or failure of public participation in major projects and in areas of significant change. 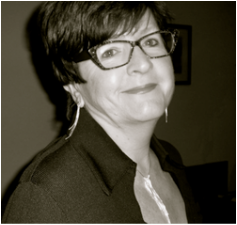 Pip leads our engagement brand Voice Consulting Australia.